22 July Killer Characters http://www. Donuts and conversation with me! Sunday, July 15 — 11:00 – 1:00 pm Murder, Mysteries and Mimosas, Oh My! 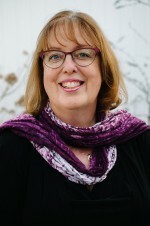 Centerville Library invites you to Meet author Sherry Harris at The Winery at Bull Run for a discussion of her Sarah Winston Garage Sale Mysteries. With garage sale season just around the corner, it’s best to be prepared! Launch party for I Know What You Bid Last Summer and The Night of the Flood with authors Ed Aymar and Alan Orloff. Be prepared to laugh. Grand opening of Barnes and Noble with Barnes and Noble Kitchen! Mystery Solved! How to Get Published As A Mystery Writer Wendy Thompson, Editor of DC Spotlight Newspaper will interview me. Forms of Crime Fiction Panel: Join writers Christina Kovac, Dana King, Burt Solomon, and Sherry Novinger Harris as they discuss a wide variety of genres within crime fiction, and how they each engage in different forms in their craft and careers. Panel 9:00 am Saturday What’s Your Line? Nashua, NH 03060 603-888-0533Panel discussion and signing with the other Wicked Cozy Authors. Sherry will be at Left Coast Crime in Monterey, California and will be on a panel Deadly New Voices: Writers Discuss Their First Sales at 9:00 am on Friday, March 21. Sherry will be at the Malice Domestic Conference and moderate the panel Here Comes the Corpse: Wedding-Themed Mysteries at 9:00 am on Saturday, May 3. 7:00 pm to 8:30 pm Sisters in Crime. Traditional Mysteries: Why readers love them and why authors love to write them. Sandra Parshall, Donna Andrews, Ellen Crosby, Maya Corrigan, Sherry Harris, and Susan O’Brien. Located in the Large Meeting Room. 11 June 7 PM. Wicked Cozy Authors with author Ray Daniel at New England Mobile Bookfair, Needham Highlands, MA. 25 June — all day virtual event to celebrate Sarah Winston’s birthday. Stop by https://www.facebook.com/pages/Sherry-Harris/804525869646519?fref=ts to help celebrate!